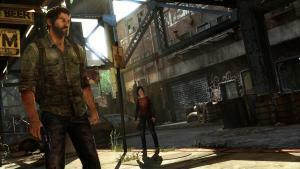 Naughty Dog working on a new game? "The Last of Us 2"? "Uncharted 4"? Kjetil Svendsen , 17-Sep-2013 2:18 p.m.
(PressFire.no): During the press conference at Gamescom in Germany a few weeks ago, the European boss of Sony PlayStation mentioned that two of their prestigious studios - Naughty Dog and Santa Monica - are working on secret PlayStation 4 games. On the 29th of November, the new console will be on the market, Sony has employed all their top people. 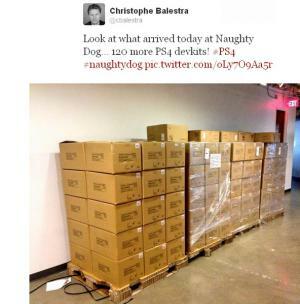 One of the heads of Naughty Dog, Christophe Belestra, posted a photo of pallets full of PlayStation 4 machines. He left the photo on Twitter. This involves the so-called devkit, developing machines that will surely come in handy in the project that they are currently working on, with the release of " The Last of Us. " - Look at what came in the doors at Naughty Dog today ... Additional 120 PS4-devkit, Belestra writes. And with the wording he confirms also that this is not the first shipment of Sony's PS4 consoles. 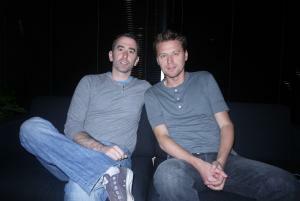 Evan Wells and Christophe Bellestra. Naughty Dog has obviously not revealed what they are working on, yet. When PressFire spoke with Evan Wells late 2011 - Wells is Belestras colleague at the helm (e) - he talked about what tops the wish list when it comes to their next PlayStation 3- sequel. This was incidentally at a time when Evan Wells stubbornly claimed to not know anything about any PS4 plans. He believes facial expressions will play a major role in the future. Motion capture, the technique for capturing actors' movements and record the dialogue simultaneously, has been the focus of Naughty Dog in recent years. Both the "Uncharted" games, and most recently, "The Last of Us." Facial animation has been done in retrospect, the "old way", because of the technical limitations of today's computers. On the PS4, facial expressions will be in focus, Wells once predicted. More realistic expressions and gestures are what he wants in the future. - PlayStation 4 and "Xbox 720" must be able to provide developers the opportunity to further explore motion capture, especially facial expression. It just needs to happen, Wells told PressFire. Until Naughty Dog reveals what their mysterious PS4 project is about, we can only speculate: "Uncharted 4", "The Last of Us 2" or maybe something completely new? "The Last of Us" (2013). They made ​​a "mistake" in the transition from the PlayStation 2 to 3, and spent an unnecessarily long time to get the game engine to obey and prosper. - We learned an important lesson when we went from PS2 to PS3, Straley admitted in an interview with Digital Spy​​this summer. - There was plenty of hype around what the next generation would offer then. "It would be just like in the movies." - It turned out not to be true. 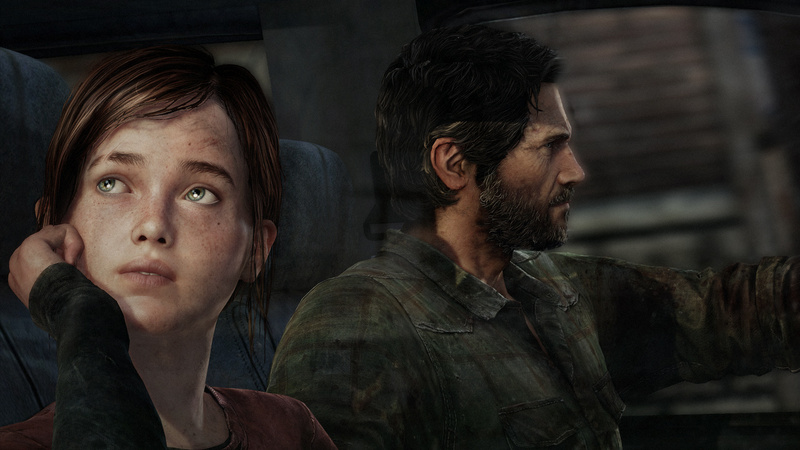 What we managed to achieve is still pretty close, but it took Naughty Dog four games to get us there. 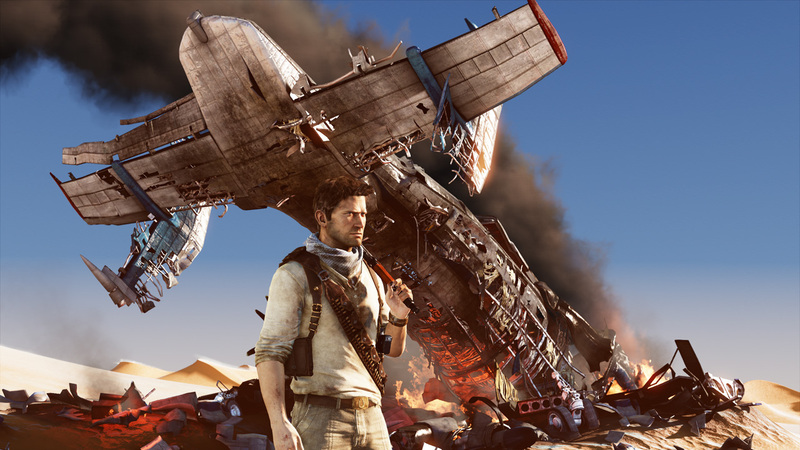 - We scraped everything we had when we started working on the first "Uncharted" game, and that despite having an efficient game engine through the "Jak & Daxter" series. We could have started there, and then built from the foundation and just swapped parts and small items when needed, when it was necessary, Bruce Straley says. Re: Naughty Dog working on a new game? It wouldn't surprise me if it was The last of Us 2. The ending of the first game left a lot to be desired, in my opinion.